The need for cars has been steadily increasing over the years and people prefer more on cars that are fuel efficient and budget friendly but this does not mean that everyone should be doing the same. You can still go for the luxurious brands – you may even find a budget friendly car that will suit your needs. Next to owning a car is to take care of it. Aside from having it insured by an insurance company, you will need to clean it regularly. For example you were driving while it was raining and you forgot to wipe off the water from the surface of the car. Though the water spots may not leave marks as of the moment, it will eventually leave stains that will be quite hard to remove later if you keep forgetting on wiping it off. The interior will also need of regular cleaning if you do not want to breathe the accumulated dust from the chairs, the dashboard or even the car mats! 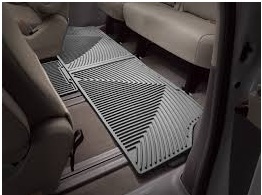 The car mats are capable of gathering dirt and mud from the feet of its occupants so it is best to have them cleaned regularly and if possible, every time after you use it from a very long journey. A very dirty car mat will not only make your car interior dirty but may destroy the quality of it. It may sound boring but cleaning your car, especially car mats is crucial to keep your car off from large maintenance costs and also will give the car a high resale value when a time comes when you plan to buy a new one and have your old car trade in. If you think you can handle cleaning the car on your own, be prepared that it may take several hours to complete. Most people wash their cars on the outside first then the interior. The exterior is probably simpler than the interior since the latter is like cleaning the inside of your house where you need to be very keen on removing the grime accumulated from the inside of the car. Car mats can be a challenge to clean since they are a bit heavy to lift with one hand but when you start ripping off the dirt from them it will be easy. Just use a hose and spray it all over the mats and wait for it to dry up. You should use laundry detergent if the car mats are really grimy. If there is mud all over the car mat that has completely dried off, scrape them first before getting them wet. Dry them under the sun and place them back inside your car when they are completely dry. There is no rule saying when to change your car mats but usually when you lost your car mats because someone else took it when you hang it dry after cleaning or your car originally does not have one because you bought it at a used car shop then it is definitely a sign that you need to have new car mats. Check this site carmatbuyer.co.uk/product/seat-leon-car-mats/ to find more about car mats.